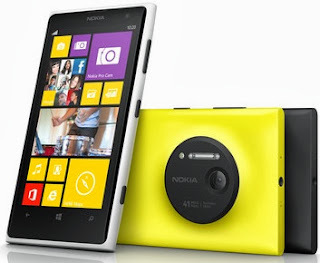 Nokia is ready to roll out its most powerful camera smartphone Lumia 1020 in India on September 26. The Finnish smartphone maker promises the phone will "zoom into details that reveal more than your eyes can see." Lumia 1020 will reinvent the zoom, claimed the company. Nokia has already launched all its Lumia devices, except Lumia 1020, in India. Lumia 1020, which was showcased globally in July, appeared on the company's India website just a week later. Its highlighting feature is the 41MP camera with PureView technology. The 41MP Zeiss camera has six lenses and features Nokia's PureView imaging technology, along with two types flash - one LED and the other Xenon. This smartphone also features a technology called Dual Capture, which takes two shots at the same time, one at 38MP resolution and the other at 5MP. The former is meant for photo editing, while the latter is ideal for social media uploads, said Nokia. Other hardware specs of the Lumia 1020 include 4.5-inch PureMotion HD+ Amoled display, 1.5GHz dual-core processor, 2GB RAM, 2,000mAh battery and 32GB internal storage. It is expected that the phone will be priced at approximately Rs 38,000 at launch. This smartphone will compete against the likes of Samsung Galaxy S4, Sony Xperia Z, HTC One, Apple iPhone 5 and BlackBerry Z10.